Blue Majik sounds like a funky alcoholic beverage you’d find at a a trendy new night club. This however is not what I’m talking about. I am talking about the blue green algae. Let me start by thanking E3live Canada for sending me a bottle of your Blue Majik to test out some cool new recipes with! 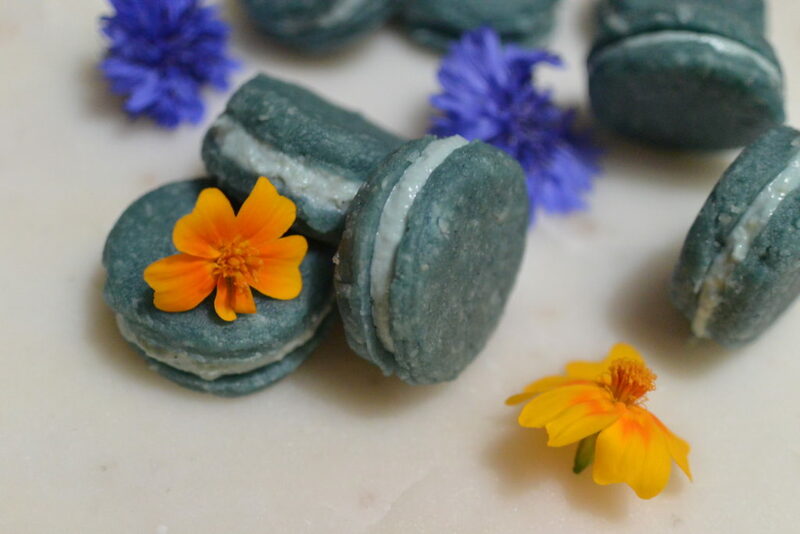 With that being said I decided to make a raw vegan Blue Majik white chocolate vanilla bean macaroon. This power house super food is filled with anti oxidants and nutrients to fuel your day and detoxify the body. Some facts for you all to know is, this is the oldest food on our planet, it is also the most nutrient dense food. This form of blue green algae is a dense whole food that can contain up to 60% of protein and over 60% of vitamins and minerals, and insane amount of chlorophyll and essential fatty acids. Another interesting. Fact is that NASA uses E3live brand of blue green algae to feed and fuel their own astronauts, because just about 1 gram of algae is equivalent nutritionally to 1,000 grams of fruits and vegetables. I decided to make a dessert recipe with Blue Majik. So far I have been adding it to my smoothies and occasionally to my water when I go to the gym! It makes a healthy KOOL aid by mixing the Blue Majik with pomegranate flavoured aloe vera. 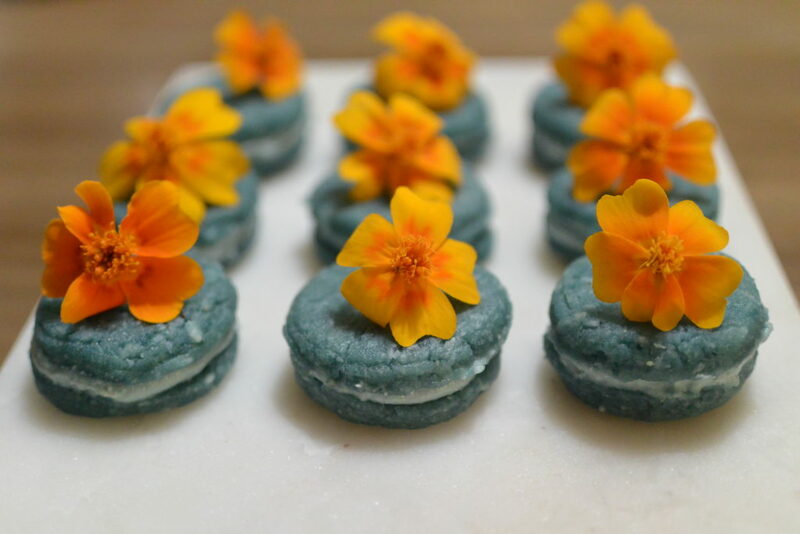 For this recipe blue Majik white chocolate vanilla bean macaroons. I kept it all raw vegan because I didn’t want to destroy the nutritional properties of the blue green algae. 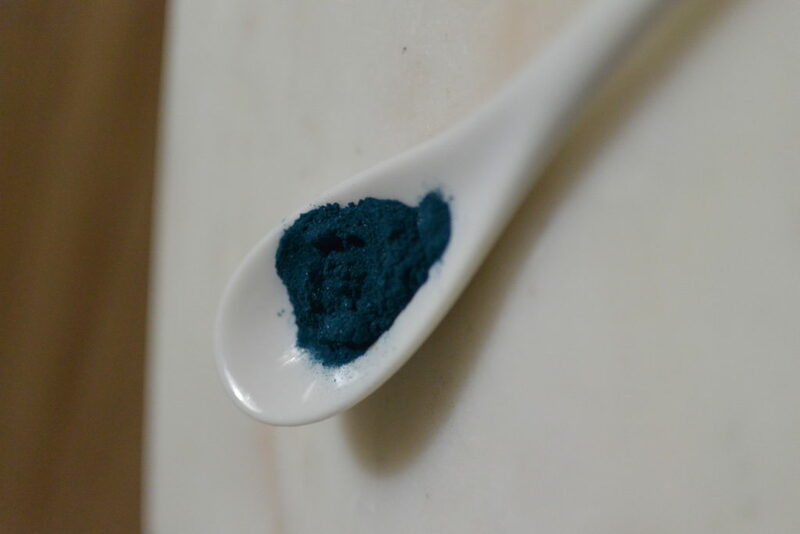 Blue Majik is prepared by being dried in low temperatures to preserve its beneficial living components. For this recipe you’ll need to start by soaking but 1/4 cup of cashews. You will have to let them soak for a minimum of 4 hours. But in the mean time you can prepare the macaroon. You’ll only need the cashews for the inside filling. 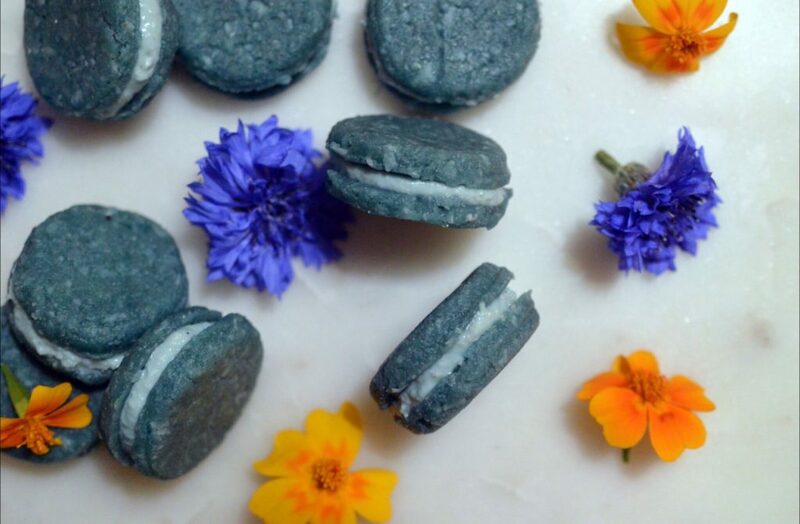 For the macaroon you’ll need almond meal, coconut oil, Blue Majik shredded dried or raw coconut cocoa butter vanilla bean from the pod. The filling is made with cashews, vanilla bean, coconut oil, almond milk. Super simple ingredients but the finished product will wow your family, friends and anyone else who sees this creation! And it helps that it’s jammed with super food! Soak cashews, set aside and let them soak for at least 4 hours. In a high speed blender or food processor mix all ingredients, be sure the cocoa butter and coconut oil are liquified before blending. Ponce mixed Roll out dough to desired thickness. Cut out shapes of macaroons. * TIP I used the cap of my Blue Majik bottle to make the circles. Take macaroons out of the freezer and scoop out half a teaspoon of filling onto macaroon. Place on parchment sheet. Repeat until half the macaroons have filling. Take the macaroons without filling to close the fillies macaroons. Set back in freezer for no less then 15 minutes. I hadn’t ever seen Blue Majik. It is soooo blue! I like the idea of using it for a healthy Kool Aid. 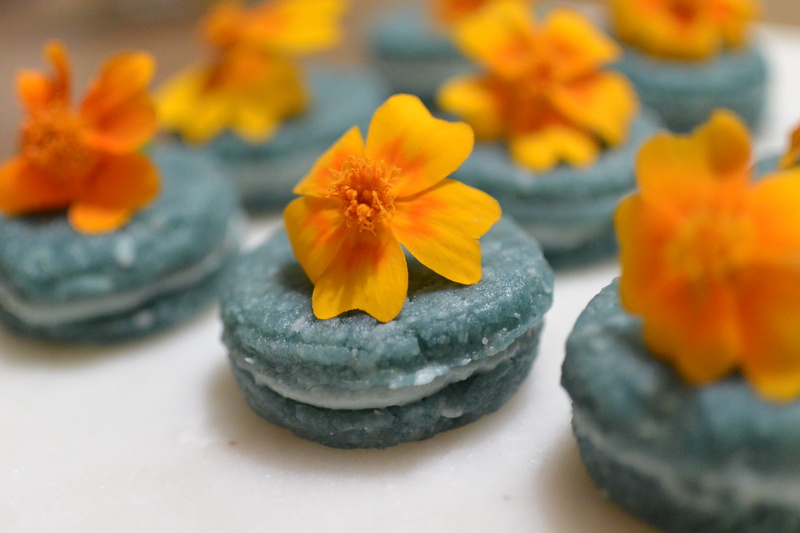 Your macaroons look so cute, and they sound like they taste even better. Thanks so much! The e3live blue majik is Ann awesome superfood to add to your diet!! This sounds very interesting! As a Family Lifestyle and Food Blogger, I love to try new out things, I’ll have to try this sometime! @juliehoagwrtiter.com Thanks for sharing!! these look and sound amazing! I’m always on the hunt for healthier sweet treats and I can’t wait to give these a try! Sounds great! Would love to see how your versions turn out! And I’m so sure it’ll satisfy your sweet tooth! These are so much fun! What a fantastic treat to make! Aw thanks so much! Yea and to change things up maybe add a diffenrt colour you can you beets to make them pink! Aw thanks so much! Yea I was so impressed myself with the benefits of e3live and blue majik! Glad you enjoyed the recipe let me know if you ever make them! This looks amazing!!! This sounds like it tastes really good! These look so pretty and yummy! I love finding new vegan blogs to follow. Aw thank so much! Yea blue majik has a great amount of nutrients!!! Wow! These are amazing! 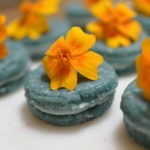 I had no idea you could make raw macaroons! I love the color! Amazing and delicious! 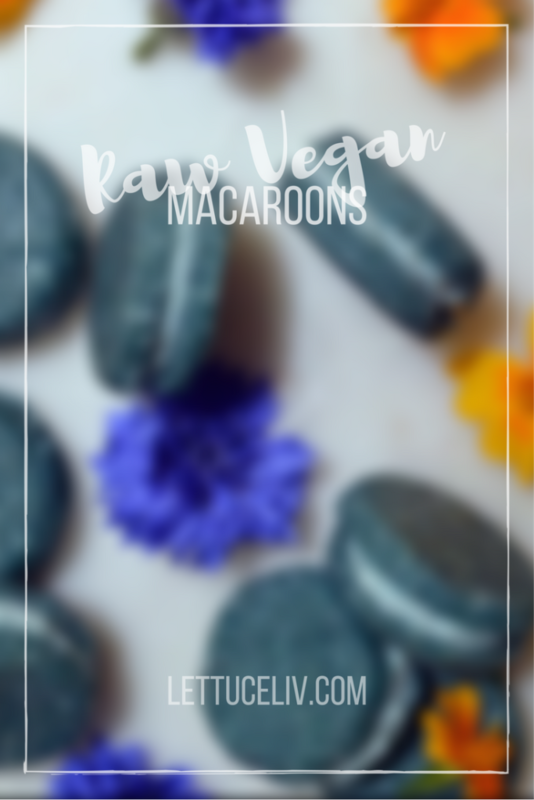 Never heard of raw macaroons before, awesome. The blue majik sounds interesting and super nutritious , wonder if we have it here in Australia! Woah that’s some insane benefits out of that sea vegetable! Will be looking into buying this for myself! Thanks for the info. And great recipe too! Wow this looks absolutely stunning! I don’t thinks I have the skills to make this for myself but I can sure eat them! So send some over to me! !